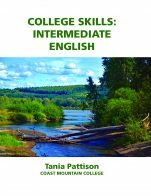 This textbook is a concise, understandable, and effective guide on intermediate level mathematics. 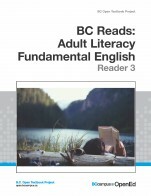 This book can be used by Adult Basic Education programs at colleges; students in community colleges, high schools, tutoring, or resource rooms; self-study readers, including new teachers to brush up on their mathematics; professionals as a quick review of some basic mathematic formulas and concepts; and by parents to help their children with homework. 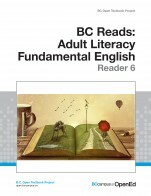 In this book, each topic, concept, term, and phrase has a clear definition followed by examples. 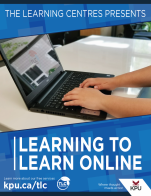 It acts as a concise study guide, quickly getting to the heart of each particular topic, helping students with a quick review before doing mathematics homework or preparing for tests. Key terms, definitions, properties, phrases, concepts, formulae, rules, and equations are easily located, and it provides clear step-by-step procedures for applying theorems and solving word problems, using realistic real-world application examples. In addition, each unit has a self-test that allows students to test their understanding of the material. Students can also take the self-test before beginning the unit to determine how much they know about the topic. Those who do well may decide to move on to the next unit. Cover image "Eko" (https://www.flickr.com/photos/ekosystem/11649984414/in/album-1412361/) by Eko (https://www.flickr.com/photos/ekosystem/) is used under a CC BY-NC-SA 2.0 Licence (https://creativecommons.org/licenses/by-nc-sa/2.0/). 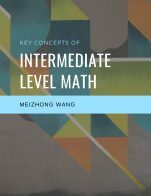 Key Concepts of Intermediate Level Math by Meizhong Wang, College of New Caledonia is licensed under a Creative Commons Attribution 4.0 International License, except where otherwise noted.